We joined Tamino, Papageno, and Pamina in this fairy-tale adventure and let Mozart’s enchanting masterpiece transported us to a world of fantasy and the realm of the Queen of the Night. Composed feverishly a few weeks before his death, this lyrical testament by Wolfgang Amadeus Mozart is the universal opera par excellence, a source of joy and perpetual wonder, a tender and profound companion that will be with us for life. The Magic Flute is intended for people of all ages, with its amazing music, one of the most poetic and luminous works ever written by Mozart. First performed in 1791, two months before Mozart’s death, he famously conducted the orchestra at the first performance. 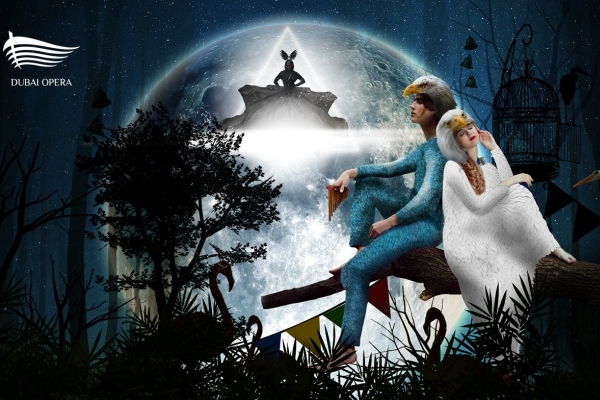 A comical fairy tale that takes place in a fantasy world, set to Mozart’s enchanting score, The Magic Flute tells the story of Prince Tamino and his companion Papageno as they help out the Queen of the Night, and set out to rescue her daughter Pamina.